Featuring: george kavassilas, ﻿Kelly La Sha﻿ & Perry Mills. And, where are we headed? In this upcoming Rise Round Table Event, we are going to focus on these primordial questions; What are we doing here? We all at some stage in our lives feel like we came to the planet for a reason, as though we have come here to do something significant but we just don’t know what that is. We can’t quite pin it down. It is so close yet so far. Can feel it but still don’t know. Unfortunately, most of us struggle for air, trying to keep our heads above water in a deluge of demands for our attention and compliance. We look longingly at examples of people fully engaged in stimulating and free lifestyles or “important” occupations. We rationalize that only the lucky, the talented, the entitled or the blessed get to live a life of joy and fulfillment, while the rest of us grovel for the leftovers. But what if you discovered a shining jewel residing within you that erased all of the impossibilities of a life so uninspired? What if you woke up one morning and realized that all of the burdens of your life, past and present, somehow had now miraculously transformed into gifts? What if the treasures that you only dreamed would free you from your suffering, revealed themselves as already living within you, overlooked and un-noticed? What if it was right under your nose and you just couldn’t see it? We can’t look at fundamental purpose without knowing ourselves deeply. And that purpose can never be known without a courageous and honest inquiry into our most spiritual nature. Concurrently, one could never know their purpose without an affirming connection to the intelligence that speaks through their own bodies, emotions and intuitions. These communications, although not easily deciphered, are genuinely speaking from your inner contours and soulful aspirations. But most of these communiques are drowned out by a cacophony of voices from “non-self generated” sources. 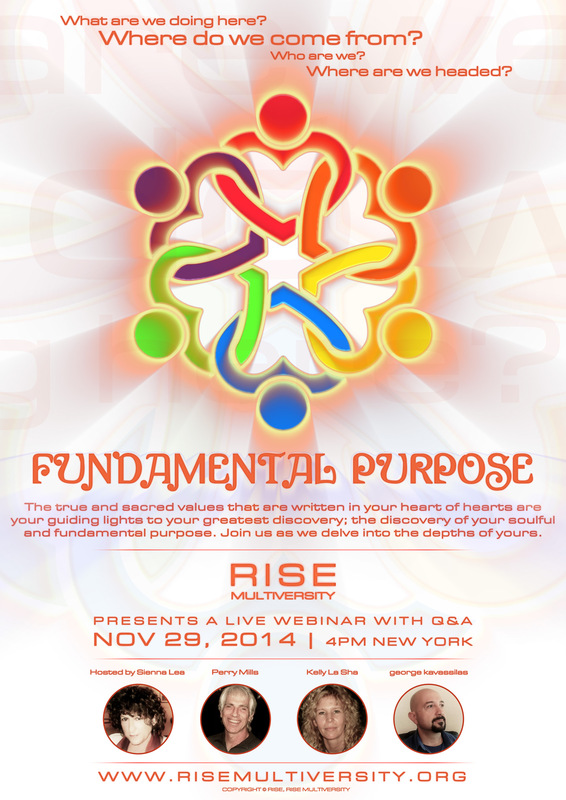 Your fundamental purpose may easily be the most natural thing to actually discover. It already has announced itself through a plethora of appetites, ideals, inclinations, secret aspirations, and bucket-list items that you are generally too embarrassed to reveal. Wouldn’t your fundamental purpose be found in the vicinity of what you passionately care about? The true and sacred values that are written in your heart of hearts are your guiding lights to your greatest discovery; the discovery of your soulful and fundamental purpose. Join us as we delve into the depths of yours.